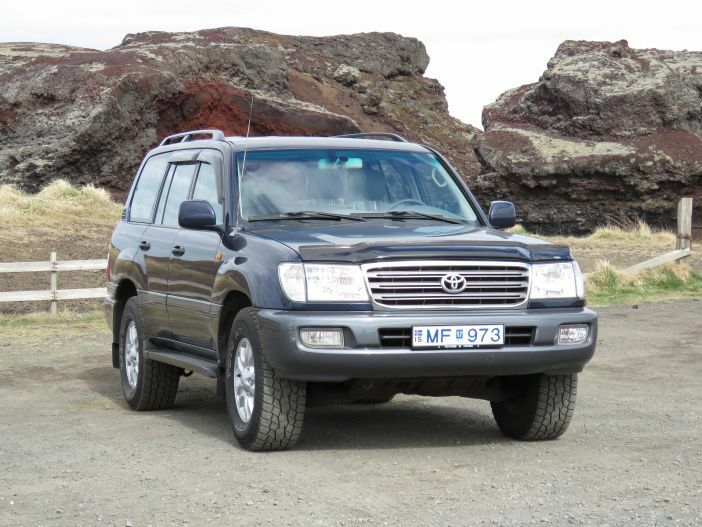 Great 4x4 car to travel around Iceland. It's well maintained and could seat up to 7 people, because of two extra seats in the back (they do take storage space). Good V8 engine, good tires, leather seats, sunroof, air conditioning and audio. It is an absolute non-smoking car, so if you are a smoker, you better look for another car. Feel free to ask for an offer for your rental period! Pick up and drop off at BSI bus terminal or at KEF airport (+ISK 5.000). What a nice car! The Land Cruiser has driven us wonderfull through the wonderfull landscapes of Iceland. The car feels save and drives like a dream. The communication with the owners went smooth and friendly.